Mega Man X is widely considered to be one of the greatest 2D action platformers of all-time. Capcom’s edgier spin-off of the Blue Bomber’s main series has extremely tight controls, excellent level design, fantastic powers, well-balanced boss fights, and a rocking soundtrack. 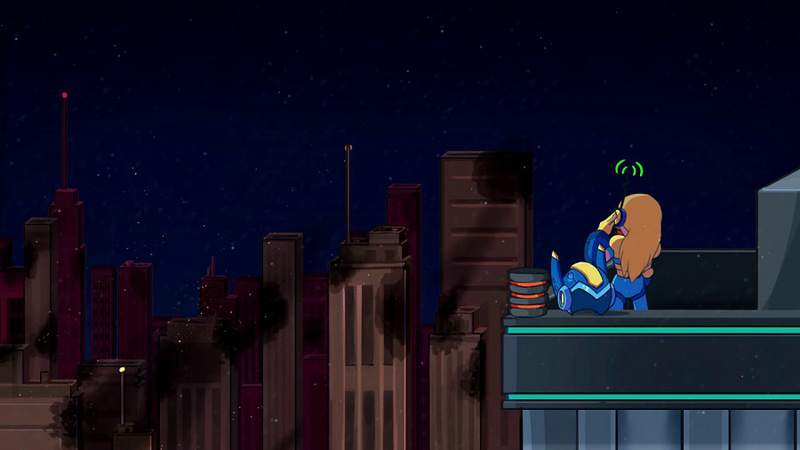 There’s nothing quite like that on Switch just yet, at least not until Mega Man 11 and the Mega Man X Legacy Collection release later this year, which means 20XX has a nice big gap to fill. 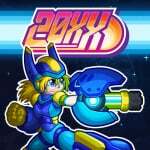 If imitation is the sincerest form of flattery then you can consider the teams at Batterystaple Games and Fire Hose Games to be blowing Capcom a big, fat kiss with 20XX. Rather than copy-pasting the formula exactly across to their own game, they’ve made some major changes to the structure and flow while keeping the core gameplay mostly intact. Everything from dashing to wall sliding and jumping is here and feels just as great as you remember from the SNES days. For starters, there are no predefined levels in 20XX at all - everything is procedurally generated. So instead of picking from a list of levels like you would in classic Mega Man games or even just progressing through a series of levels in order, every time you play 20XX it’s going to be something a bit different. There are four total themes: ice, sky, flame, and jungle. Within each theme, there’s a high degree of variation on display from the types of enemies, platforms, puzzles, hazards, and more. In addition to the levels being randomised, bosses aren’t set in stone either. At the end of each level, you get to pick from three options for your next level based on different boss plus theme combos. The good thing about this system is that it keeps things fresh. When you start up a new 'run' of 20XX (that’s what the game calls playthroughs) you’re immediately faced with something new and challenging. However, after a few hours, we start to notice some of the procedural chunks the game uses to craft levels sticking out, such as small segments of platforming that look like a template or an enemy placement starting to get predictable. This is amplified by there only being four themes in total. Thankfully, having eight different bosses helps alleviate the repetition. But you’re also robbed of the satisfaction that comes with memorising a level and running through it perfectly at breakneck speed after mastering it - but playing something new each time has a charm all its own anyway. Those blemishes aside, it’s a great system that works really, really well when you layer on all of the other mechanics on top of it. For example, items and upgrades (augs) are split into two categories: permanent and per-run. The permanent items and upgrades are persistent across your time with 20XX, so even if you die and restart, it’s still there. A great example of a permanent upgrade is investing in a robot companion that visits you midway through level two with a randomised loot chest. Depending on how things are going, it can literally be a lifesaver. During a level, you’ll find boxes full of bolts, energy (which you spend to use new weapons,) and health, as well as loot chests that contain upgrade items. Everything from extending your health, amplifying your dash speed, granting double jump, enhancing damage and more. Sprinkled across stages are also Glory doors that task you with wiping out a series of enemies as fast as possible to get a prize, which is usually a really good upgrade or even a weapon. Upon death, all temporary items such as new weapons and per-run upgrades are erased and you start over. However, one currency is persistent which you can then use to unlock new items that start appearing in runs or even to unlock permanent upgrades. 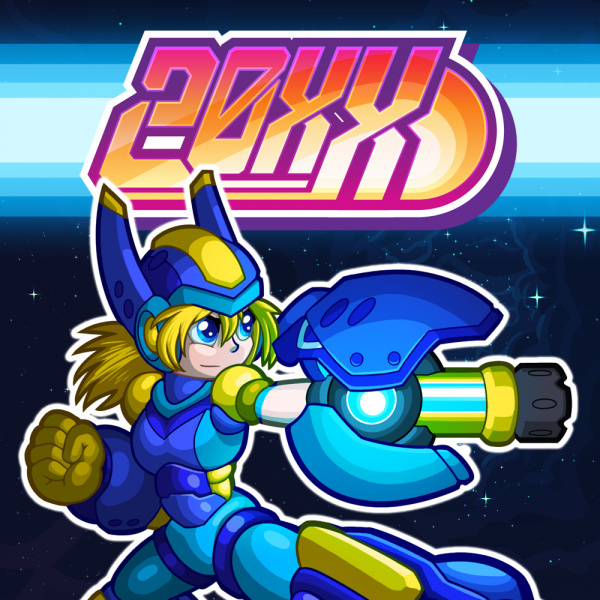 There are two characters featured in 20XX that you can select before starting a run: Nina, the buster-shooting Mega Man clone, and Ace, the sword-slashing Zero clone. 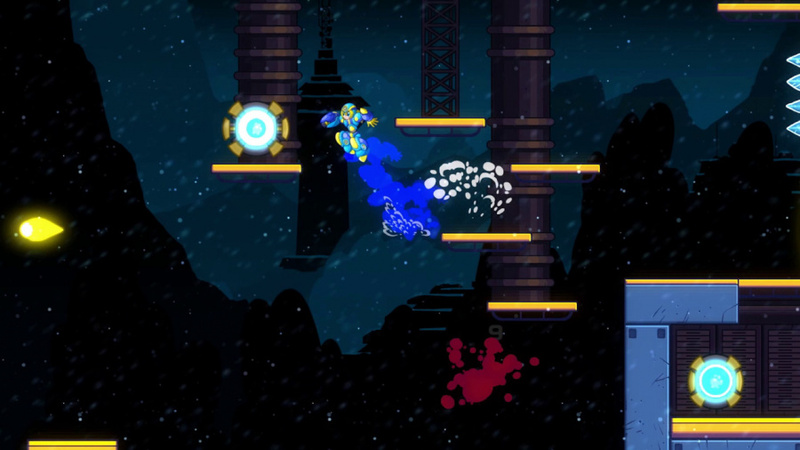 We typically play aggressively in 20XX, so Ace’s up-close sword attack is really rewarding. It can still be charged like Nina’s buster for increased damage and its base damage output is actually higher per slash than the individual pellets. It just lacks range, so going after a boss with a good ranged weapon drop early on is basically required. Gameplay is solid for both, but it’s a bit unfortunate it’s really just a Mega Man X clone on that front. 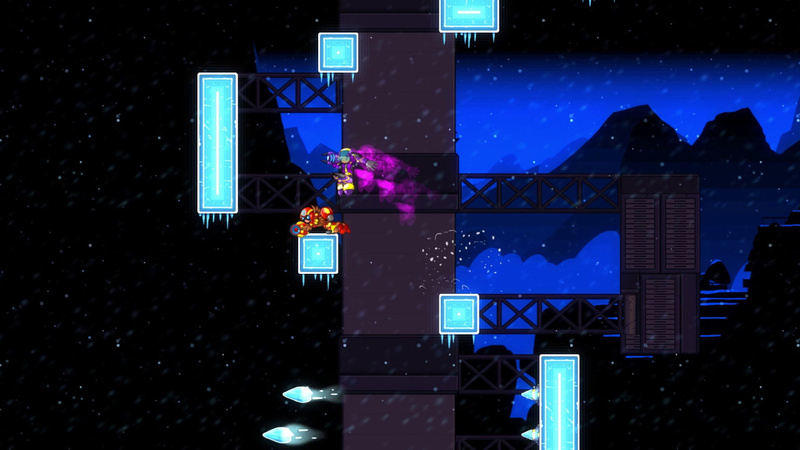 Playing 20XX in co-op is great and makes us wish it was a standard feature in actual Mega Man games. Nina and Ace’s main weapons are different enough that you’ll actually be able to develop strategies in how you approach enemies so it becomes more than just pure co-op for the fun of it. At the main hub area for the game, you’ll also find Daily and Weekly challenges at different difficulty levels with leaderboard rankings. You can also opt to play the game itself on a harder difficulty with modifiers to increase difficulty, or even on an Easy mode that grants you three lives instead of just a single try. Playing 20XX has an addictive rhythm to everything. You dive into the level, find loot like upgrades and currency bolts, kill bosses to take their weapons, and keep pushing until you die. 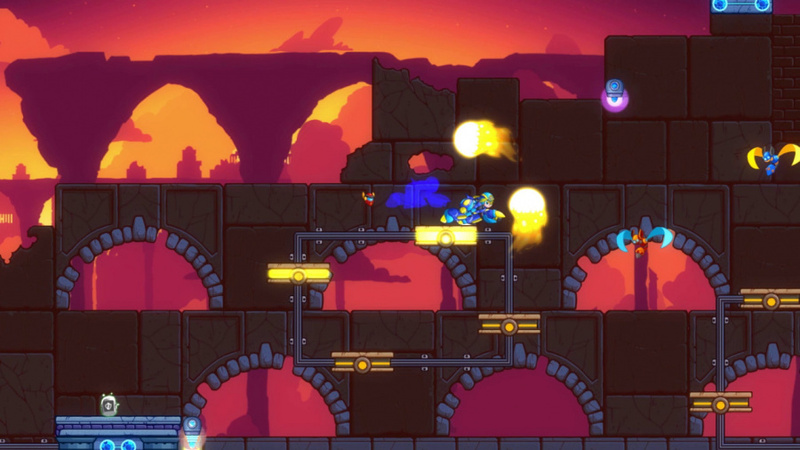 After dying we’d often suffer from that 'just one more run' itch that’s so common in roguelikes and the formula fits an action platformer like 20XX perfectly. The procedural engine does a good job of mixing things up, but after a while you can start to see a little repetition, but that’s easily overshadowed by the sheer variety and amount of upgrades and customisation. It might be OK, but the promotional artwork looks like something a 12-year-old would post to his DeviantArt account. Mega Man is one of my all-time favorites! I can’t wait to try this one out for some variety on a familiar rhythm! Say what you will about original games for Switch this year, Switch isn't starved for quality content. This game looks pretty fun to me. @IronMan30 Love the icon sir. I'm having a hard time getting behind procedurally generated games like this. I've given some a shot, and I do plan on checking out Dead Cells when it comes to Switch, but I think I would rather just buy one of the Mega Man collections than play this. Sounds good. I might just get this to tide me over for Mega Man X Legacy Collections 1 and 2. I already have them pre-loaded. Hype! But it sounds like it works functionally like Wizard of Legend, which I do enjoy in short bursts. Might be fun to try. @Ralizah I'm so glad I'm not the only one who was thinking that! Honestly, it kinda makes the game look really low quality. First, cool I'll have to check this out at somepoint. 0_0 was concerned until the rest loaded in. Love Isaac, Gungeon, and Megaman. This should be awesome. Was hoping for an 8+ review on here, looks like it got it! Can’t wait to get this. All platformers should have the option for online coop play. It's 2018, this should be standard. I'm going to buy 20XX just because of this. "There’s nothing quite like that on Switch just yet"
I've never played a Gunvolt game but I always assumed that they were kinda like that. I wish reviewers - not just here - left prices. @BionicDodo They're similar, but I think they're a bit closer to Mega Man Zero and ZX than they are to Mega Man X. @Giygas_95 Thanks for the info. MGB - Like original 8 bit Megaman but with the ability to customize your char via “Buster” adjustments in an options menu. You pick these up in each stage. The DLC chars are what make this game amazing, standard chars are decent. It’s a 7/10 standard, 9/10 with DLC. Azure - has more of a 16 bit graphic style, as well as Graphic Novel style story telling. A lot more story involved in this than MGB. Again character customization, but this time from crafting. You pick up various loot while playing / completing challenges, and use that to craft gear to modify your character. Much more fast paced than MGB. 20XX - Main draw here is gonna be the same that keeps players playing Binding of Isaac and Enter the Gungeon - roguelike. No runs will be the same, and runs will be dictated by a mix of skill and RNG. Some runs may be brutal, while others a cakewalk depending on loot drops. Don't really like procedurally generated games but this one has caught my attention so will be buying this eventually. @BionicDodo How does that work exactly? Are the green prices the cheapest for that particular game while the red are the most expensive? @Giygas_95 Yes, also if you click on a game it lists the prices in order. Mexico is usually the cheapest but is really difficult to pay on outside of North America. South Africa, Russia and Norway are all often cheap and are the ones I usually use. @Fake-E-Lee thanks, Bill Hicks was a great comedian! Not bad but with all the official Mega Man support lately I really don't see the point. @Ralizah I don't think you're giving them enough credit. That's at LEAST a 15 year old's DeviantArt. I waited a long time for this game to come on another platform a few years ago. When the Switch came out I hoped 20XX would make on the system and...it has! Wow! But why it has to come out 2 weeks before the Mega Man X Legacy Collections??? I know why but still. It's on the system so I'm grateful for that! Cant wait to play it! I almost bought this so many times, but after watching others play it, it's clear to see that it's not my kind of game. I hate to say it, but being able to memorize patterns and level layouts goes a long way in making the challenges offered seem enjoyable, rather than purely frustrating, to the point where I'd probably just feel defeated after a while. That's always been my beef with random level design, though, it only seems to work in a game where the point is to get more powerful, and that kind of experience goes against why I would play a platformer. @Stocksy I don't think they announced prices yet. I looked a few days ago after first watching the trailer. I vastly prefer lovingly crafted levels. No algorithm can match human creativity. Off topic, but is there a reason the Octopath traveler review isn't happening yet? @SuBLiMe83 Review embargo hasn't lifted. A nice Mega Man inspired game, I'll definitely pick this one up once it's on sale. I have played it on PC and its an amazing game. And dare i say it: It controls a bit better than Megaman. The movements and fluidity is solid. Gameplay and graphics are quite nice, too. I recommend it to any old Megaman fan, especially if you played the ones on SNES. I prefer memorizing levels. These procedurally generated games are not my preferred way to play video games. @Stocksy Looks like eShop now has the prices listed. @Heavyarms55 I'm with you on this 100%. I really appreciate well-designed levels rather than floors that look and act like Tartarus from Wrath of the Titans. @Ralizah well then that's one talented 12 year old. Have this on PC and will eventually double dip. I'm usually not a fan of roguelikes or procedural generation, but this one balances both pretty well. Maybe if I tire of MMX Legacy Collection. I like procedural generation in RPGs, action-pseudo-RPGs like Binding of Isaac and sidescrollers, not too keen on them in platformers. But I could be wrong. I know I will want to try Dead Cells. I liked the way Risk of Rain handled it, by not really making procedural generation, but by having 4 big levels for each stage rotating around (aside from I think second to last and last one which were always the same). Though that game always got tiring at higher difficulty. @TheGameTutor I hope so. I have almost grabbed it on Steam a few times, but I've been able to hold out for Switch. I'm more into the roguelite genre. I'm already bald so I have to resort to tearing my beard out when playing roguelike games... And I like my beard. I was hyped for this game a year or so ago. Now with the X collections coming here soon that excitement has definitely waned. I hope this does well for the dev, may pick it up on sale in the future. @Rhaoulos This game IS a roguelite, but some people at Nintendo Life do not know the differences between roguelikes and roguelites. Edit: Nevermind. I check the devs AMA that they had today and it seems as though the game is priced at $18 to make the price comparable to how much you'd pay if you bought the base game + all dlc characters on pc. (In addition due to the nature of Steam sales the price will be lower overall. Even at the time of writing this the game is on sale for $9.89 with the game + all dlc totaling $14.85) In return the console versions will be getting all dlc characters for free whereas on pc they will be separate purchases. @SmaggTheSmug You're one of the first people I've heard bring up how Risk of Rain does its level generation. I too prefer how Ror does levels. Randomly selecting handcrafted levels instead of using procedural generation to spit out crap level is much more preferable. @Oat I believe that Hawk and Draco are supposed to be added via a free update if I'm not mistaken. When I reviewed it only Ace and Nina were available at the main hub, but I've tried them on PC and they're fun. Hawk is basically Simon from Castlevania with a sweet whip attack. @DavidJagneaux Oh I see. Thanks for replying! Had it on Steam for a while, so much work and effort by the devs on this. Definitely a must-have for any Mega Man fan. Nice! I saw this on Steam and was looking to get it, but now I can get it on Switch instead which I definitely prefer! This game is absoutely fantastic, looks like another new addiction for me! IMO this is the closest to MMX a game has ever been. And yes, that includes MMX 2-8. I read the steam description and found out my comment was wrong just before seeing your answer. Thanks for confirming this, the game really sounds nice and I might get it. @Giygas_95 that price list is cool and all but living in the USA is anything buying a different regions would only save you about one buck. Honestly it really isn't worth the hassle and some regions don't include the same things as others in some cases. Now if you live outside the USA I would say it might be beneficial but for the most part it isn't but for maybe 4-5 regions. I was put-off by the low-quality art and character design at first, but recently played through this with a friend, great Mega Man X-style gameplay with Co-op that works really well!! Will likely pick this up on Switch! Just get a new artist for the sequel!